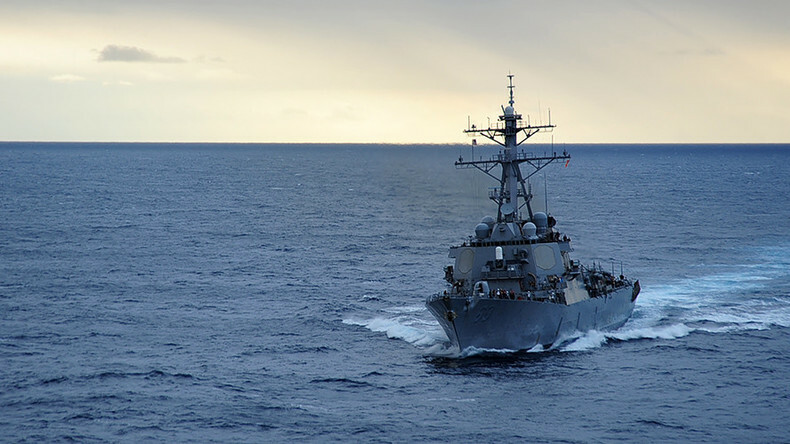 "China dispatched military vessels and fighter planes in response to warn off the US vessel," the statement reads. 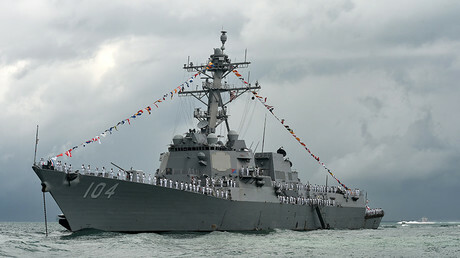 The head of US Pacific Command, Admiral Harry Harris, recently criticized China’s activity in the region. "China is using its military and economic power to erode the rules-based international order," he said in a speech delivered on Wednesday in Brisbane during the joint US-Australian military exercises. "Fake islands should not be believed by real people," he added, as reported by Fox News. The Paracel Islands are contested by China, Taiwan and Vietnam while the Spratlys are also additionally claimed by the Philippines, Malaysia and Brunei. China claims sovereignty over a large part of the South China Sea, a region crucial for China’s maritime trade. China has already built runways, aircraft hangars, radar sites and hardened surface-to-air missile shelters on its artificially-created islands in the region, according to photos analyzed by the Washington-based Center for Strategic and International Studies (CSIS). In response, China called Washington’s involvement in the dispute the “greatest” threat to the region. 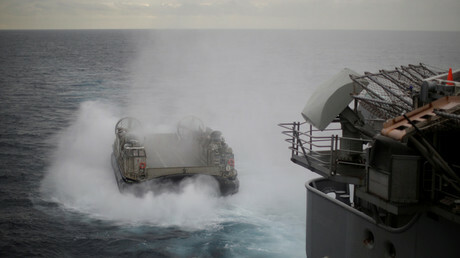 In early June, China and the US both held exercises involving air and navy forces, in another episode of confrontation over the disputed South China Sea. The US sent two B-1B Lancer supersonic bombers to fly a 10-hour mission from Andersen Air Force Base, Guam, which was conducted in conjunction with the US Navy’s Arleigh Burke-class guided-missile destroyer the USS Sterett. A day earlier, the Chinese People’s Liberation Army (PLA) conducted its own air and navy exercise off Hong Kong. 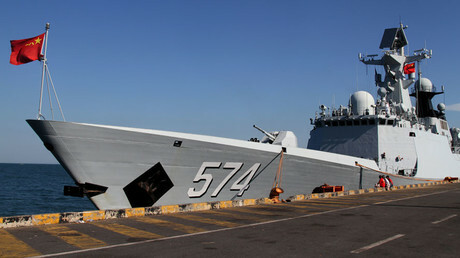 The patrol mission involved three helicopters and two Type 056 corvettes, the Qinzhou and the Huizhou, the Defense Ministry reported. Jim Dean, managing editor at Veterans today, told RT he believes Washington is getting embroiled in a territorial dispute it has no part in as part of a PR game against China. “This is a part of a sparring campaign that I think is going to go on for quite a while,” Dean said, adding that the latest incident, which comes on the heels of a US arms deal with Taiwan, is “a part of turning the screws” by the US administration. The incident might be also a deliberate move intended to provoke China into deploying more forces in the South China Sea, in order to justify a US response, according to Dean. “We really have some theater going on with this, and this all is going to go on for some time,” he said.